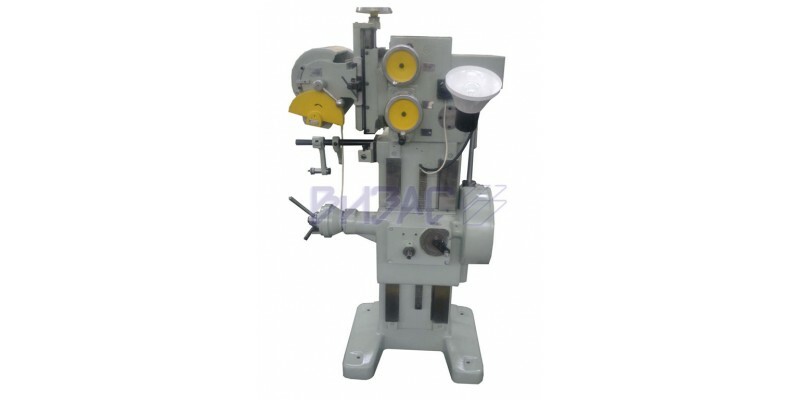 Semiautomatic VZ-330 is designed for initial sharpening segmental saws, specialized tool factories in mass production, and can also be used in grinding the branches of other businesses using segmental circular saw blades. The device is used for sharpening along the contour of the tooth and transitional cutting edges of the segmented circular saw blades according to GOST 4047-82 the periphery of the abrasive wheel, tucked along the radius. Processing is carried out on grinding wheel type PP according to GOST 2424-83, with a diameter of 200 mm. the number of teeth from 56 to 240. The device tunes to each saw and works in semi-automatic cycle. Depending on the number of teeth treated saw blades are interchangeable gear drive box guitar. Adjustment of the sanding head at the appropriate angle of incidence to the plane of the saw blade can adjust the angle of the tooth. 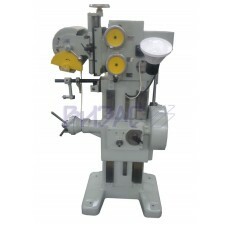 The machine is equipped with an adjustable mechanism to prevent vibration of the product in the sharpening process, which is especially important in large diameter saws. automatic lifting of the saw blade holder on the magnitude of the removed layer. The machine is equipped with a vacuum cleaner V19-101 with dust extraction, interchangeable sets of gears, spare parts and wrenches.